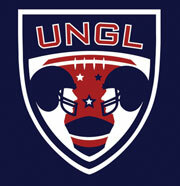 Ryan Smith: The United National Gridiron League (UNGL) is a new professional football league set to debut in January 2009. [It] want[s] to raise awareness for the league among key constituencies, such as potential owners, investors, sponsors, and corporate partners, as well as the general sports community. What made The New York Times a good hit? How did you pitch the reporters and editors there? Smith: We really wanted one great national footprint as a way of teeing up the story, and [we] felt the Times would give UNGL some strong credibility right out of the box. We reached out to the Times and were able to set up a face-to-face meeting with sports editor Tom Jolly and sports business writer Richard Sandomir. New sports leagues tend to have high failure rates. How did you overcome that skepticism?Smith: We knew there would be some skepticism, but we made sure our client was prepared with great message points. It also helped that [the] UNGL already had some signed agreements with a couple of franchises and had [named] former National Football League player Joe Cribbs as commissioner, which helped [to] drive home the point that this league is going to get off the ground. Smith: Right after the story ran, a New York-based private equity firm approached the UNGL about investing in the league. The UNGL also had a couple of potential franchise owners come forward, as well as interest from sport marketing agencies. The piece also triggered follow-up coverage in outlets such as ESPN and USA Today.